Flow is a Defense/Shooting game for those looking to while away some moments without terrorixing their minds by crazy shoot outs on the screen. It is a basic defense game and takes the scale to miniscule levels. 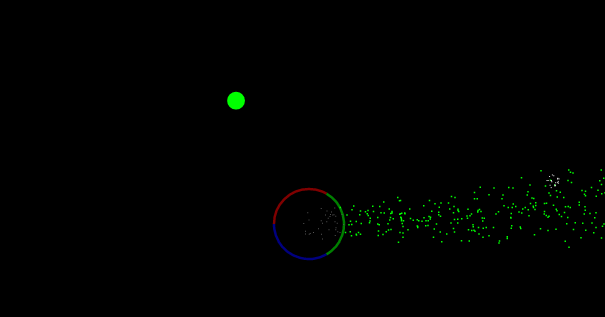 Your objective is to destroy the dots with a flow of particles. The simple game play coupled with the cute little particles spread over the screen make for an entertaining time pass with Flow.